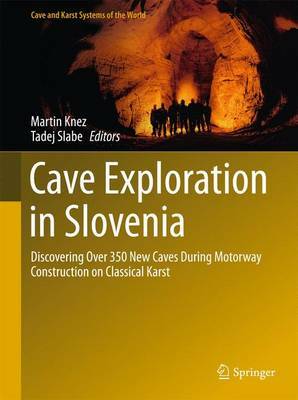 This book focuses on the opening and exploration of more than 350 previously undiscovered caves of the Slovenian Karst, discovered during motorway construction work. The summarizes the planning of traffic roads and presents the new findings obtained during construction, as well as studies on newly-discovered karst phenomena and karst waters and their protection. Earthmoving work during construction has revealed a cross-section of the surface of the Classical Karst, covered karst with famous underground stone forests and unique karst in breccia. Research conducted in these caves has yielded a number of new findings on how the karst surface and underground were formed, on the flow of water through karst aquifers, and on the evolution of karst on various types of rock and under various conditions. The work was written by researchers from the ZRC SAZU Karst Research Institute and the Institute of Geology AS CR. The reader will benefit from the authors' collaboration with planners and builders, which offers valuable insights for the planning and execution of their own activities in karst regions.